Helmi Ida Loosemore, age 95 of Skanee, MI, passed away on Thursday, November 29th at Bayside Village in L'Anse, surrounded by loving family. She had been a resident at Bayside for over 4 years, due to Alzheimer's disease. Helmi was born September 16th, 1923 in South Range, MI, daughter of Matti and Tilda (Hiltunen) Wayrynen. She spent part of her childhood years on a farm in Tapiola but returned to South Range and graduated from Painesdale High School. She was married to Wesley G. Loosemore of Skanee on June 25th, 1946 in Hancock. 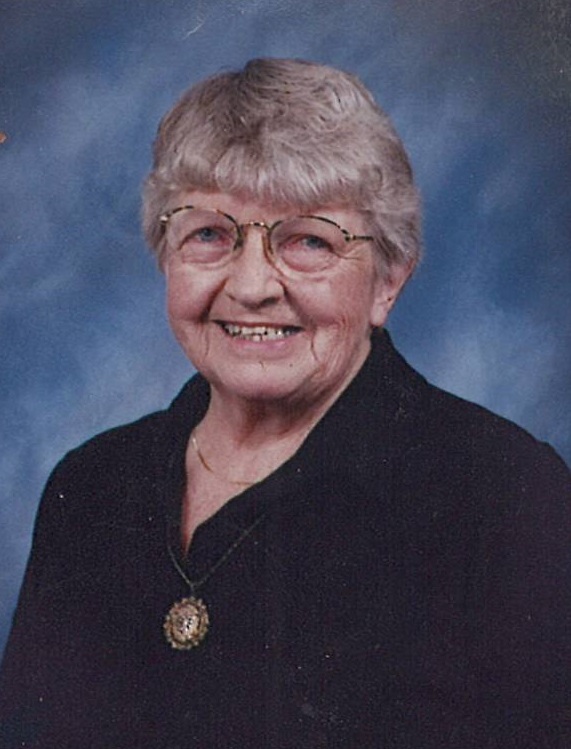 Helmi was a member of Zion Lutheran Church in Skanee. Helmi's long life spanned from the horse-drawn Tapiola school bus and South Range school train of her childhood to our modern era of email communications. During World War 2 she had worked in the war industries of Detroit, running a shaper machine to form propellers for torpedoes and stamping markings onto screws for aircraft. After marriage she devoted herself to raising her six children. She enjoyed travel and made trips to Finland, England and Italy, as well as spending many happy winters in Florida later in life. Helmi was preceded in death by her parents; by her brothers Toivo, Edwin, Arthur and Paul; by her sisters Bertha Barnett, Helga Isaacson, Hulda Persh, Mildred Kennedy, Eva Hautamaki, and Elmi Jukkala; by her son Steven; and by a grandson Edward Wesley Kozich. Surviving are her loving husband Wesley; sons Charles Loosemore of Redding, CA and John (Maureen) Loosemore of Hancock; daughters Wendy (Ed) Kozich of Davisburg, MI, Pat (Kazu) Iwasaki of Santa Cruz, CA, and Sandra Loosemore of Colorado Springs, CO; 9 grandchildren; 2 step-grandchildren; 2 great-grandchildren; and numerous nieces and nephews. Visitation will be on Sunday, December 9th from 12-1pa.m. at Zion Lutheran Church in Skanee. Her funeral service will be at 1 p.m. with Pastor Peter Suomela officiating. Burial will be in the Skanee Cemetery. A luncheon will follow in the church hall. The Jacobson Funeral Home is in charge of arrangements. Friends may sign Helmi’s guest book or send condolences at www.jacobsonfuneralhome.com .